There are no events planned for the weekend that we are aware off. January 25 1912 - Henry Harley "Hap" Arnold sets an altiture record of 4,764 feet (1,452 m). January 27 2002 - Boeing's 737, the world's most widely use twin jet, becomes the first jetliner in history to amass more than 100 million flying hours. The 737 was launched onto the market 1965. January 27 1989 - Thomas Sopwith, British aviation pioneer, dies (b. 1888). In June 1912 Sopwith with Fred Sigrist and others set up The Sopwith Aviation Company. The company produced key British World War I aircraft, most famously the Sopwith Camel. January 27 1967 - Apollo 1 launchpad fire kills three U.S. astronauts. Apollo 1 is the official name that was later given to the never-flown Apollo/Saturn 204 (AS-204) mission. Its command module, CM-012, was destroyed by fire during a test and training exercise at Pad 34 (Launch Complex 34, Cape Canaveral, then known as Cape Kennedy) atop a Saturn IB rocket. The crew aboard were the astronauts selected for the first manned Apollo program mission: Command Pilot Virgil I. "Gus" Grissom, Senior Pilot Ed White and Pilot Roger B. Chaffee. Although the ignition source of the fire was never conclusively identified, the deaths were attributed to a wide range of lethal design hazards in the early Apollo command module. Among these were the use of a high-pressure 100% oxygen atmosphere for the test, wiring and plumbing flaws, inflammable materials in the cockpit (such as Velcro), an inward-opening hatch that would not open in this kind of an emergency and the flight suits worn by the astronauts. January 27 1939 - First flight of the Lockheed P-38 Lightning, a WWII American Twin-engine, single seat fighter aircraft. It had distinctive twin booms and a single, central nacelle containing the cockpit and armament. "The work on Gripen E goes according to schedule and budget. The order is part of the high-tech development of the next generation Gripen system to Sweden", says Ulf Nilsson, Head of business unit Gripen within Saab's business area Aeronautics. The RV-14 is the newest airplane from Van's Aircraft, Inc. It continues and improves on the legacy of the most successful side-by-side two-seat kit aircraft in history: Van's RV-6, RV-7, RV-9 and RV-12. Probably the first thing you'll notice is that the RV-14 sits tall. The upright seating position and large bubble canopy provide superb visibility in all directions. The large cabin (as wide as many four-seat airplanes) is truly roomy. Lots of headroom, lots leg room, lots of room between the seats. Big people will like this airplane! The tip-forward canopy (the only canopy possible on the RV-14 fuselage) uses a new hinge arrangement that allows it to open wide for entry and loading baggage. It also allows complete access to the back of the instrument panel and avionics connections. It is possible to stand on the ground next to the airplane and reach everything in back of the instrument panel. Speaking of avionics, the RV-14 will include a standard wiring harness that handles the usual electric basics: lights, fuel pump, flaps, trim, etc. Our prototype uses a Dynon Skyview system, but the standard RV-14 wiring harness will provide convenient plug-and-play expansion capability for several popular EFIS systems. A blank panel for those who want to develop their own panel from scratch is also envisioned. The relatively long wing uses the proprietary airfoil that's proved so successful on the RV-10. The wing is constant-chord and constant thickness, so it's easy to build and completely predictable in flight. Big slotted flaps keep landing speeds low. Leading edge fuel tanks can be removed without taking the wing off the airplane. Ailerons are controlled by rigid pushrods moving on bearings and bushings - a very low friction system that helps provide the control feel for which RVs have become famous. Leading edges and wingtips have provisions for landing, position and strobe lights. Up front, a 210 hp Lycoming IO-390 lives under the graceful cowl and supplies plenty of power! A Van's 4-into-1 exhaustsystem keeps exhaust noise relatively low, especially in the cabin. RV-14 structure is typical of all RVs - and most production aircraft, for that matter. It is a monocoque aluminum airframe held together with rivets. This method has been the standard in aircraft construction for almost seventy years. It is very difficult to beat the combination of light weight, structural integrity, simplicity and affordability that aluminum provides. The main landing gear is extremely simple, consisting of tapered steel leaf springs with a wheel on one end and the airplane on the other. There are no oleos, bungee cords or shock absorbers. The nosewheel rides on a robust steel strut. 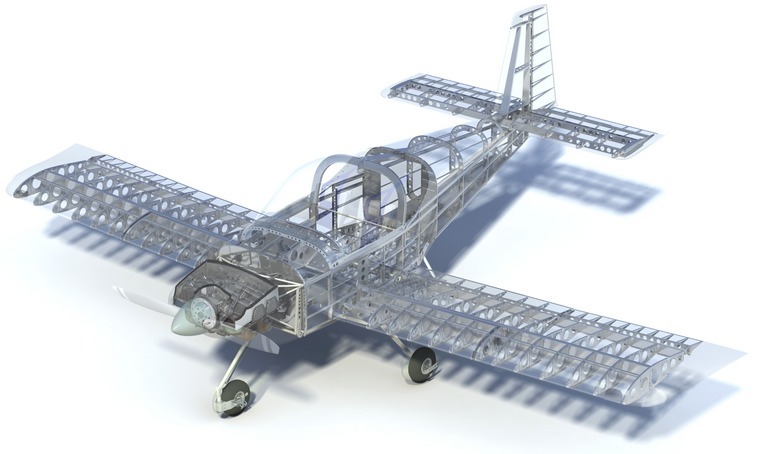 A tailwheel version of the RV-14 is under development. A popular and innovative post-World War II airplane design will be celebrated at EAA AirVenture Oshkosh 2015 as we observe the 75th anniversary of the innovative ERCO Ercoupe. 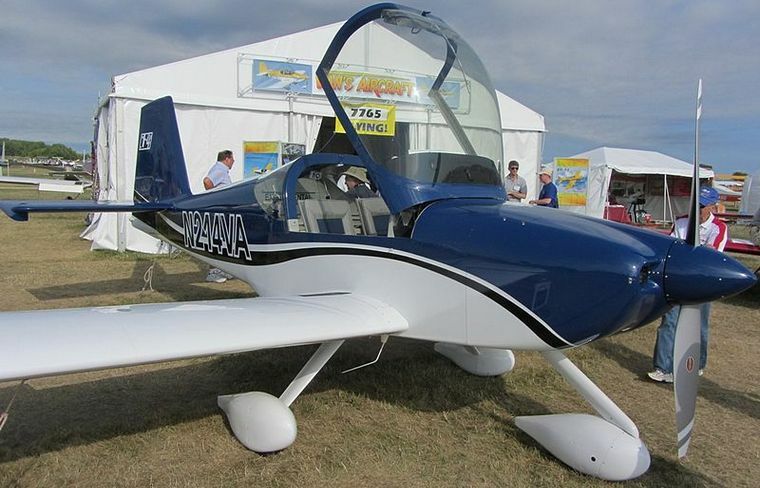 Along with the original Ercoupe 415 that first became available in 1940, other iterations of the airframe are also welcome to be at Oshkosh this year, including the Aircoupe, Alon, and Mooney M-10. Syd Cohen (EAA 98446/Vintage 12480), owner of the award-winning 1946 Ercoupe 415-D Scampy, is co-coordinator for the 2015 National Ercoupe Convention that takes place the weekend before Oshkosh, July 15-18, at the Sheboygan County Airport (SBM) in Sheboygan Falls, Wisconsin. They're aiming to get at least 75 airplanes to participate, though Cohen said, "100 would be better." 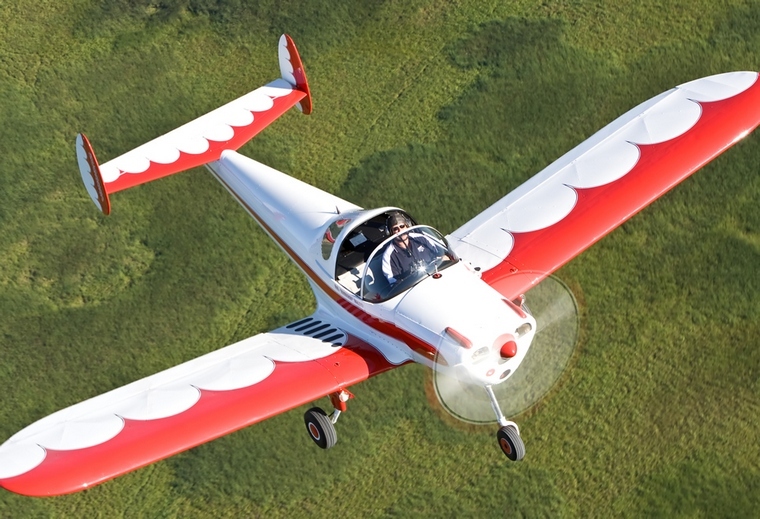 A full slate of events and activities will be scheduled for both the Ercoupe convention and during AirVenture Oshkosh. Activities at Sheboygan Falls will include an open house/aircraft display for the public, a rubber chicken drop and spot landing contest, a maintenance forum in the airport's gleaming Aviation Heritage Center, and a Saturday evening awards banquet. Special parking for Ercoupes will be provided in the Oshkosh Vintage area. The Ercoupe Owners Club will hold a Tuesday evening banquet at LaSure's in Oshkosh where guest speaker will be Jessica Cox, a woman born without arms learned to fly in an Ercoupe and continues to fly today. More will be announced as they are confirmed. Ercoupe owners who would like to participate should contact Cohen via e-mail and request a registration form, or call him at 715-573-7063 if you have any questions. Cohen discovered there are more than 2,000 individuals who own Ercoupes in the United States, according to the FAA aircraft registry, and with 500 current EOC members he's aiming to create more club members for the 35-year-old type club. The twin-tailed Ercoupe originally had coordinated controls, meaning the rudder was connected to the yoke and yaw correction was automatic - it had no rudder pedals. The steerable nose wheel was connected directly to the yoke, meaning taxiing was akin to driving a car. That characteristic, and the limited up elevator travel, made the Coupe "characteristically incapable of spinning" and it was marketed as "the World's Safest Airplane." An entirely new category of pilot license was created for the thousands of new pilots who had never seen a rudder pedal, although rudder kits were available to convert the plane from 2-control (coordinated) to 3-control (conventional). 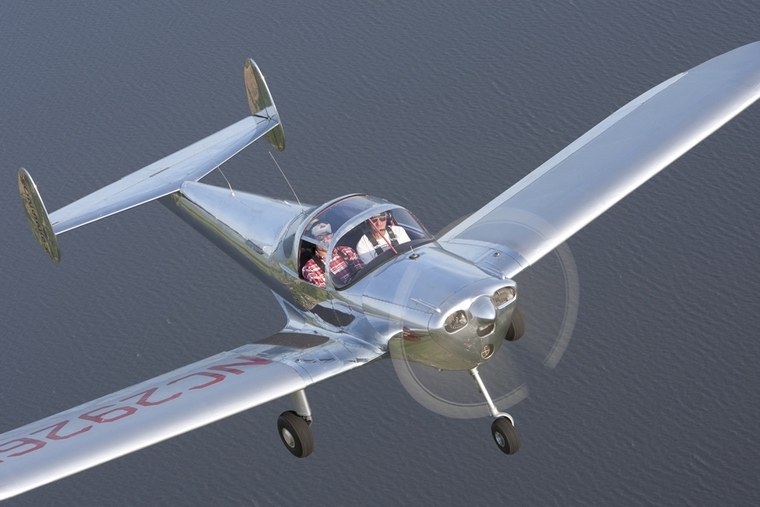 The plane was built by a series of manufacturers including ERCO, Sander, Forney, Alon, and Mooney - which built the last 59 with a "Mooney tail" instead of the signature twin tail. Ercoupe climb and cruise performance very similar to the performance of a Cessna 150 - but it drops like a rock when the power goes off. The best thing about a 'Coupe is you can fly it with the sliding windows down. My windows go down in April and stay down until Halloween. � Dassault Aviation - S. Rand� Dassault Aviation has signed a sponsorship agreement with the French First World War Centenary Partnership to help renovate the Verdun Memorial. General Elrick Irastorza, Chairman of the Board of Directors of the First World War Centenary Partnership, and Eric Trappier, Chairman and CEO of Dassault Aviation, today signed a sponsorship agreement at the Invalides building in Paris. The signing ceremony was attended by Jean-Marc Todeschini, French Minister of State for Veterans and Remembrance, attached to the Minister of Defense. According to the terms of this agreement, Dassault Aviation will fund the renovation of the Verdun Memorial. 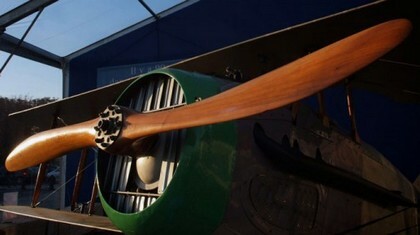 It will also deposit with this memorial museum an �clair propeller from a Spad VII pursuit plane. This propeller was the first aeronautical design by Marcel Dassault to enter production. In addition to the Spad, it was also used on the Caudron, Nieuport and Farman airplanes that participated in the first large-scale aerial battle in history, in the skies over Verdun in 1916. The �clair would also mark the start of the aviation career of Marcel Bloch, who would go on to design both civil and military airplanes between the two world wars. At the end of the Second World War, returning to France after being deported, Marcel Bloch would change his name to Marcel Dassault. This sponsorship agreement spotlights the roots of Dassault Aviation, the last major family-owned aerospace company in the world, still owned by its founder's family and bearing his name. It honors Marcel Dassault's contribution to the allied effort in the First World War, and also pays tribute to the memory of the generation that sacrificed their lives to defend their nation. Walk into a flight school today and you'll probably take your first training flight in an aging airplane that's noisy, expensive, and burns leaded fuel. But the race is on to change that, with electric trainers that are clean, vibration-free, and cheap to operate. 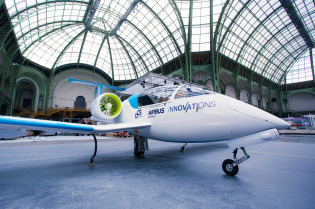 Electric aviation has been in experimental development for years, but now a US startup, European aerospace giant Airbus, and a Chinese aviation manufacturer are among those who believe electric airplanes are ready for the mainstream. If they make it happen, it could get a lot cheaper-and more pleasant-to learn to fly. "Electric airplanes will change everything when it comes to the cost of flying," says George Bye, a Colorado-based serial entrepreneur who's been involved in several aviation projects. His new company, Aero Electric Aircraft Corporation, plans to have its two-seat Sun Flyer ready for flight testing by the summer. The solar cells on the wings provide a little extra juice, and if you park the plane in the sun for a few days, they'll fully charge the battery for free. 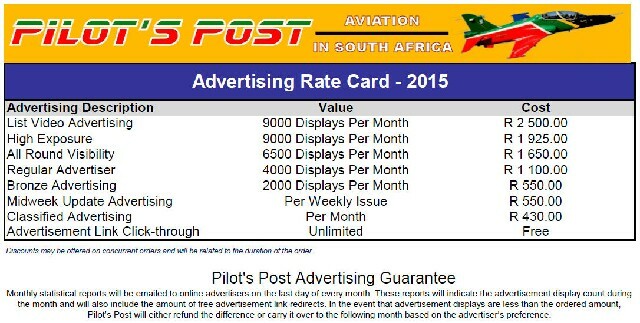 Taking into account maintenance and fuel costs, the two-seat Sun Flyer will cost about $5 an hour to operate, according to Bye, compared to $73 an hour for a Cessna 172, a four-seat airplane frequently used for training. A new Sun Flyer will sell for about $180,000 to $200,000, which may sound like a lot, but a new 172 sells for about $370,000. "The bottom line is, we are interested in generating excitement about flying, and making it affordable," says Bye. Bye hopes to be the first to market in the US with an electric-powered training aircraft fully certified by the FAA, in 2017 or sooner. He's not the only one in the race. In April, Airbus revealed the E-Fan 2.0 battery-powered airplane. In July, the company said it plans to be first to market with an e-plane for flight schools, aiming to start deliveries in 2017. The two-seater, to be built in with French manufacturer Daher-Socata, will be able to stay aloft as long as two hours. That's not much for commercial service, but it's plenty for the training market, where most flights last about an hour and transporting passengers isn't the goal. Once the plane lands, it's easy to swap out depleted batteries for fresh ones and resume flying. By 2019, Airbus plans to also offer a four-seat hybrid version for personal transportation. It's the first step in a 30-year plan to develop a 90-passenger airliner with electric or hybrid propulsion, part of a grander vision to cut European carbon emissions by 75 percent by 2050. Electric aircraft are advancing in China as well, where construction has started on a plant that will manufacture two-seat Rui Xiang RX1E electric airplanes. The production line is expected to boot up early this year. The aircraft, developed at Shenyang Aerospace University, will fly as long as 90 minutes on a full charge. Private aviation has been slow to develop in China, where government rules make it difficult, but pressure is building to open the airways to promote economic development. If battery costs continue to decline and electric planes can spend more time in the air, it will grow harder to make the case for gasoline engines, at least for the training market, where flights are brief and you don't need more than two seats. Besides the clear cost advantage, electric flight is just smoother and quieter, and maintaining an electric airplane is a lot less trouble, thanks to fewer moving parts. If learning to fly is on your to-do list, you might find the trainer planes of the not-too-distant future parked outside in the sun, powering up for your first lesson. Bell Helicopter, a Textron Inc. announced that the revolutionary Bell Boeing V-22 fleet of tiltrotor aircraft has recently passed the 250,000 flight hour milestone. The V-22 Osprey has been continuously deployed since entering service in 2007 with the United States Marine Corps (USMC) and the Air Force Special Operations Command (AFSOC). The aircraft has seen extensive action in Afghanistan as part of Operation Enduring Freedom, in Iraq as part of Operation Iraqi Freedom, and as part of a U.S. Central Command (USCENTCOM) Special Marine Air Ground Task Force (SP-MAGTF) supporting a long-range rapid reaction/crisis response force covering the Mediterranean and parts of the African continent. "Although impressive, a quarter of a million flight hours is just the beginning," said Marine Col. Dan Robinson. "As the V-22 Osprey Program (PMA-275) manager, I am focused on where the program is headed. We are just scratching the surface of the V-22's mission capabilities." Since entering service the V-22 tiltrotor has been deployed in numerous missions around the world, including Casualty Evacuation, Tactical Recovery of Aircraft and Personnel, Humanitarian Assistance/Disaster Relief, resupply, VIP transport, and theater security cooperation. It is one of the safest rotorcraft aircraft operated by the United States Marine Corps. "This 250,000 flight hour landmark is an incredible testament to the V-22's revolutionary design and is a tribute to the men and women of Bell Helicopter who build and support tiltrotor aircraft," said Mitch Snyder, executive vice president of Military Programs at Bell Helicopter. "The Osprey is designed to allow operators to engage this revolutionary technology on a wide range of different missions. It comes in fast, executes resupply or support, and then takes off and exits quickly. The unique flight envelope helps the Marines and AFSOC do things which are not be possible with any other aircraft." The recently-announced Marine Aviation Plan 2015 says, "The Osprey will remain the nation's crisis response platform of choice in support of the 'new normal.' The V-22 has without question proven its worth by transforming rotorcraft operations around the globe. 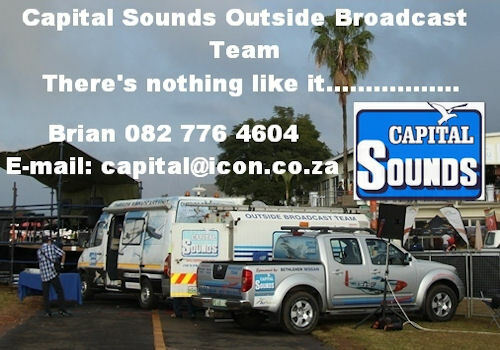 The operational reach and versatility of this remarkable platform has created tactical and strategic options where there previously were none." In 2014 the V-22 was deployed in HMX-1, a unit tasked with supporting Presidential and VIP transportation. The program set up international Osprey detachments and established a SP-MAGTF in Mor�n, Spain for long-range crisis response in the Mediterranean. Cessna Aircraft Company, a subsidiary of Textron Aviation Inc., a Textron Inc. company, announced today that its new Citation X+ and Citation Sovereign+ models are on track to gain certification from the Civil Aviation Administration of China in early 2015. The Citation X+, the world's fastest business jet, is making its first appearance in China in conjunction with Airshow China. "Both the Citation X+ and Sovereign+ are extremely well-suited for the China market as they combine excellent performance, large cabin comfort, and superb acquisition and operating costs," said Scott Ernest, Textron Aviation president and CEO. "They both have a range in excess of 3,000 nautical miles, which means the whole of Asia is one flight away." The Citation Sovereign+, certified in the United States in December 2013, and the Citation X+, certified in June 2014, are larger members of the world's most popular line of business jets, the Cessna Citation family. Both aircraft boast large stand up cabins, advanced cockpit systems designed to meet global, 21st century airspace management requirements, and Cessna proprietary passenger cabin electronics that offer unrivalled productivity and communication. The new Citation X+ has seating for up to 12 passengers, a maximum operating altitude of 51,000 feet (15,545 meters), an unmatched maximum speed of Mach 0.935, and an increased range of 3,408 nautical miles. The range of the Citation X+ gives operators the ability for direct flights from Beijing to New Delhi, Singapore to Tokyo, Shanghai to Darwin, or Hong Kong to Dubai. Also featuring a large cabin for up to 12 people, the Citation Sovereign+ has a range of 3,188 nautical miles (5,904 km), a top speed of 460 knots (852 kilometres/hour) and a direct climb to 45,000 feet (13,716 meters). 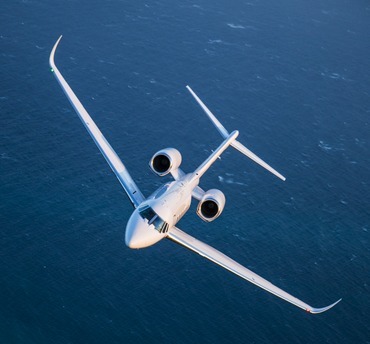 "Our investment in new products such as the Citation X+ and Citation Sovereign+ extends to bringing these aircraft to customers in China and across the Asia Pacific region," Ernest said. "For customers in China seeking to make smart investments for business aviation, Citations are exemplary with respect to performance and operating value without sacrificing the cabin amenities and connectivity that make business travel most productive." Both cabins feature Cessna's ClairityTM cabin management system that offers passengers control of cabin lighting, window shades, temperature, and audio and video entertainment (digital media, MP3/iPhone, Blu-Ray). The interior of each aircraft can be configured in a wide array of seating layouts, colour choices and entertainment options that can include international Wifi connectivity. The most distinct outward difference of both the Citation X+ and Sovereign+ over past Citation models is the addition of winglets, allowing each aircraft to cruise efficiently at higher altitudes and to consume less fuel, as well as improving take-off and landing performance at higher elevations or on hot days. 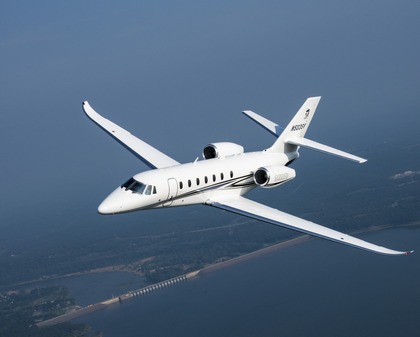 More than 6,600 Citations have been delivered to customers around the world since the first Cessna Citation business jet was put into service in 1972. Citations are the largest fleet of business jets in the world and have surpassed 30 million flight hours. For more information on the Citation X+ and Sovereign+, visit Cessna.com.